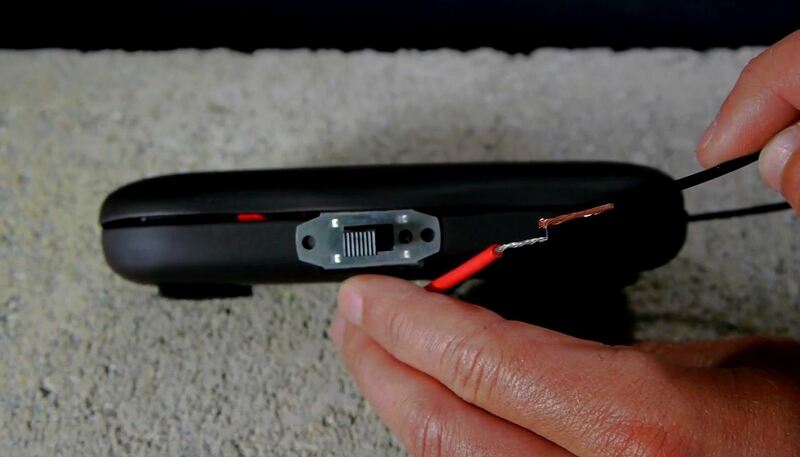 The parts used in this project are fairly inexpensive, totaling about $30, assuming some things are already lying around the house (such as spare wire and tape). In the list of parts below, I give some information to help locate the harder to find items. I was inspired to create this video when I read the article posted here. That article is based off of the information provided in this even older article. There are several reasons I do not use the design that is shown in those two articles (mounting the device inside of a shoe). It is uncomfortable, fragile, requires the destruction of a pair of shoes, and would be a difficult design to replicate when needing to also fit a power converter into the sole. It is more practical perhaps if a negative ion generator that runs off of DC (direct current) is obtained, but in my long search in preparation for this project, I found no source that does not require a bulk order and shipping charges from China. For those of you thinking, "Wait! I have a DC ionizer in my car! ", unfortunately the electronics inside of an automotive ionizer (which do run off of DC) do not use the same process for creating ions, and will not work for this project. They do, however, create enough high voltage when connected to a 9 volt to provide a continuous arc between two wires if the circuitry is slightly modified; which might be an interesting project all on it's own. Perhaps something for the future. This is pretty amazing. Love the design. What would happen if you made two of these and wore one on each leg/foot? Twice the shock? Or would it not matter? You know I'm not sure if wearing two would increase the shock or not. I believe your body is only capable of absorbing so much of a charge so two may not increase anything. I might have to try it and get back to you. From what I've read, the body can hold quite a bit of voltage, but that it doesn't necessarily affect the strength of discharge (at least what's felt). But with your device, the discharge lasts longer, right, so it's maybe possible to generate a larger, more shocking jolt with multiple ones? I don't know. Just thinking out loud here. Trying to wrap my brain around it. Great video! The sand storm it creates is so cool. 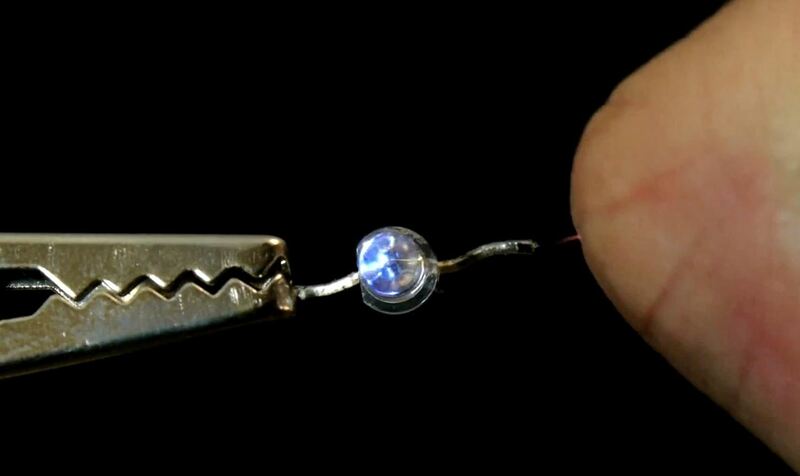 What's that little bulb you're using to create the mini electric shock storm? Did you make that yourself, or is that a part you can buy? That's just an LED. 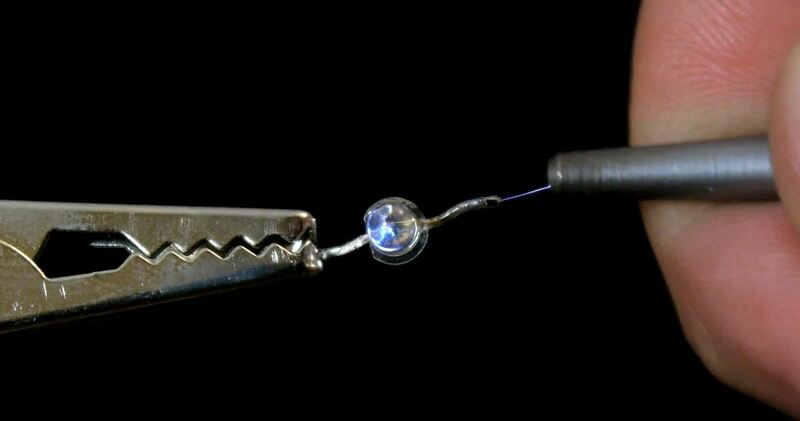 I was expecting it to simply light up to more clearly demonstrate the electrical current from the spark, but what happened was cool too. this is a really neat design, and an amazing video. The user does not feel the charge, but they do feel the shock when touching things. Mildly unpleasant, not painful. Under some circumstances (see below) you will both experience the same shock intensity. The greater impact is from the surprise, not the intensity. Do not shock someone if they could be hurt if they jumped or thrashed around from the surprise. Touch the 9-volt battery terminals to your tongue -- it's mildly unpleasant, not painful. A shock from this device is very brief, then it's gone. This is a moderately high-voltage, extremely low amperage/current arc. Lightning is a very high-voltage, very high-current arc. Voltage jumps the air gap, amperage is the power. You will experience far more impact with a small air gap and an arc than if you merely make full skin contact and drain the voltage to your victim. You can get a similar effect by scuffing your feet (leather soles work best) across a carpet on a cold, dry day. Touching someone's shoulder has less "punch" than touching their cheek because their cheek is more sensitive. 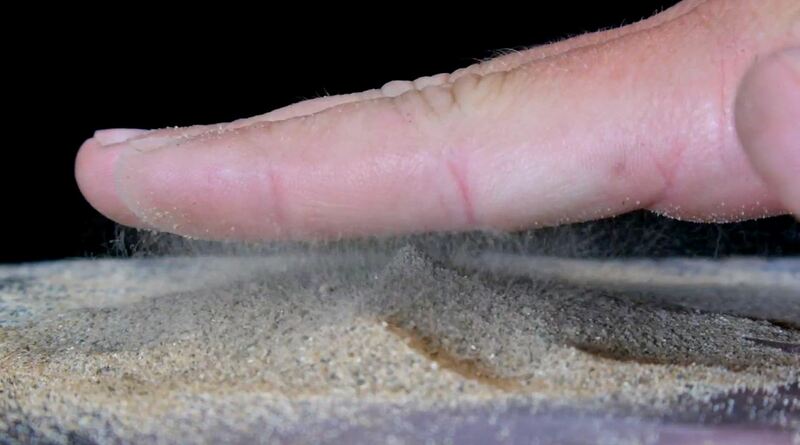 If you hold a coin or other metal object in your hand to do the touching, you may feel nothing at all -- the arc leaps from the metal, not your skin, but your victim will feel the full shock. If you use your finger, but touch your victim's clothing or hair, you may get more of a shock than they will. Experiment with rubber soles, indoor/outdoor, etc. Have some fun! Do not shock anyone who wears a pacemaker. Do not shock anything electronic (cellphone, remote control, TV, etc.) as you might destroy it; no explosions -- just damage or failure. Putting 10,000 volts on circuits designed for 5 volts is never a good idea. If you're holding your cellphone the entire time, it may be safe if it's not in a plastic or leather (insulated) case; voltage is measured "compared to what?" (usually the ground or another circuit) so the cellphone will never have a "ground reference" to compare your high voltage to unless you put it between you and something else. YMMV -- park the digital toys somewhere until you're done shocking folks. i was just wondering, would there be any danger touching other people? would you shock them? They would be shocked just like anything else. 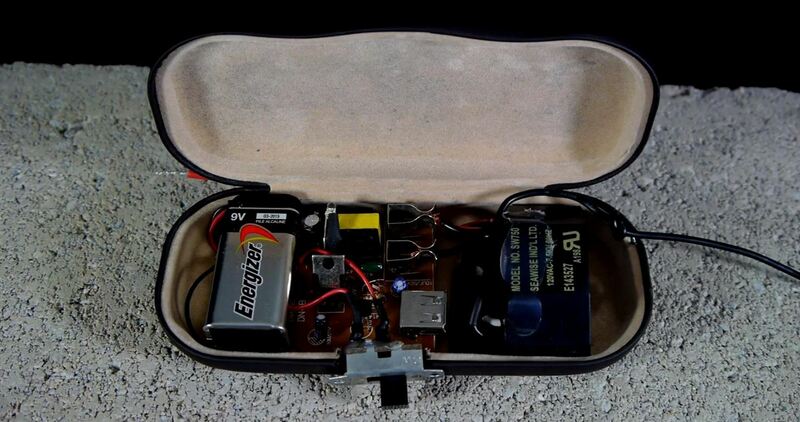 There is little danger if using only a 9v battery. so if you feel tghe shock, does it hurt? hey is there any stores that sales Negative ion generators or do i have to buy 1 online? Would you by chance be able to sell me one that's already made? Or know of anywhere I can get one? Did you ever find someone or some place that sells these or something similar? I realize its do it yourself manual, but I'm not smart enough to do it myself. this and the circuit 1 of the link is similar right?? so can v use that?? i am also facing the same problem.. i cant find a generatr.. I do believe that will work, but I'm not sure how to wire it properly. ya.. super.. i like it... but i cant find the ion generator.. where can i find one??? Hi , I want to buy this generator for 60 $ . I'm going to pay the cargo money. I'm not from USA , so if you want to sell this generator can you send me a message about it , please.Thank you. I made the generator but i have a problem. Whenever i turn it on and i put it all on i cant shock anything. It has a healthy bridge when i put them close together but when i put on everything it wont work one i take off the foot harness and have someone hold it i can shock them but when i put it on i cant shock a thing. I just really need some help. have you ever figured it out? I have the same exact problem. I used Solid not stranded wire. How well this device works depends on how conductive the ground is. If you're on damp concrete or dirt it will work best, on dry it will work pretty well, on plastic tile or wood floors it will barely work at all. It also works best if what you are shocking is grounded. If not, it may shock the first time, but then the charges will balance out and it won't work again until the target discharges on something that is grounded. that's so cool but does anyone know where to get the power inverter or ionizer in the ACT? How do you make this generator with the SN74HC74DR SMD D-Type Flip-Flop that you mentioned on the description of your video? Where an how do I attach the cables? Thank you for this tutorial, it's really great! I was wondering if this device will work properly? I don't think so, but I don't know electronics well enough to say for sure. I would like to make a machine for my living room that attracts dog hai. I'm thinking it would have to use static and an intake fan. Any thoughts for my project? Your problem's going to be that it's only going to attract dog hair that's floating through the air if it's stationary. You could simply build this device, wear it, and walk around with a baking tray or some other large metal surface to attract the hair from carpet and such. This device doesn't work so great on surfaces that are not very conductive though. Not very effective to wear on plastic fiber carpet or wood floors. Thank you. I realize the above device would not be effectiv. We are looking to invent or build our own dog hair attracting machine as a science project. I was hoping you would have some ideas on what material would be best. How do the electrons move? Where does the charge come from? Can you answer this ASAP please? I'm doing my project on this. Did you find anyone or any place to buy one from?